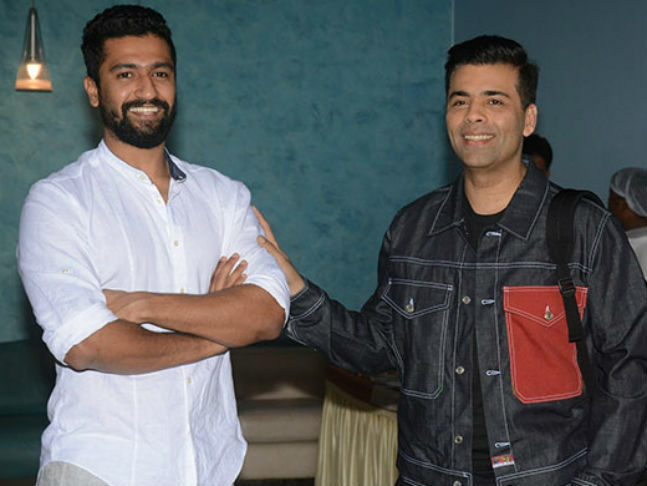 Ranbir Kapoor might be Karan Johar’s favourite actor, but for the paranormal film he is planning to make at the end of the year, the Dharma Productions boss man has picked out Bollywood’s new flavour of the season – the actor Vicky Kaushal. According to sources, it will be dashing Vicky who will play the lead in this Dharma film. The rest of the cast has yet to be finalized. Vicky made an impact on KJo with his restrained performance in the espionage thriller Raaziopposite Alia Bhatt that Dharma co-produced with Junglee Pictures earlier in the year. Now he’s reuniting with the production house for his second film. It is reportedly going to be a high-concept film and will mark the directorial debut of Bhanu Pratap Singh. Bhanu has assisted Dhadak director Shashank Khaitan on Humpty Sharma Ki Dulhania and Badrinath Ki Dulhania. This is his directorial break but Shashank will reportedly curate the paranormal film for Dharma Productions. This is only the second time that KJo is experimenting with a film of this genre. In 2005, Dharma had co-produced the horror film Kaal along with Shah Rukh Khan’s Red Chillies Entertainment. It was directed by Soham Shah and featured John Abraham, Ajay Devgn, Vivek Oberoi, Lara Datta and Esha Deol. It was famous for the title song Kaal Dhamaal in which Shah Rukh Khan himself made a special guest appearance and sang and danced with Malaika Arora Khan. Not much is known on the forthcoming paranormal film that Dharma Productions is working on. The film is in the initial stage of planning. It is likely to go on the floors at the same time as Dharma Productions’ Good News starring Akshay Kumar and Kareena Kapoor Khan in which Raj Mehta makes his directorial debut. He has assisted on several Karan Johar films earlier including Kapoor & Sons, Badrinath Ki Dulhania and Humpty Sharma Ki Dulhania.